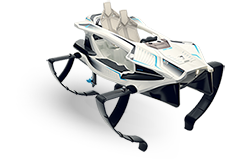 Quadrofoil will establish a mass production of its energyefficient advanced ecological personal watercrafts on Alumero’s premises in Slovenska Bistrica, Slovenia. 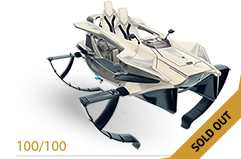 Also, Alumero will become a strategic partner for production and therefore cooperate in development and financing of technological production processes and additional equipment for Quadrofoil watercrafts. Companies plan to create 100 new jobs before 2017. 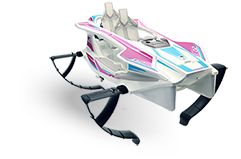 "Positive feedback and the number of preorders for Quadrofoil watercrafts exceeded our expectations. The agreement with Alumero Group is an important step closer to establishing a stable mass production of Quadrofoil watercrafts. We are also pleased that cooperation with Alumero, Impol and our other suppliers facilitates the start of mass production in Slovenia. This way, we can provide employment opportunities for many people, which was our wish right from the start. Of course, there are still several tasks in front of us, before we can ensure delivery of the first Quadrofoil Q2S Electric Limited Edition watercrafts for our first preorder costumers at the end of March. However, I am absolutely certain that we will make it,” said Marjan Rožman, CEO of Quadrofoil.